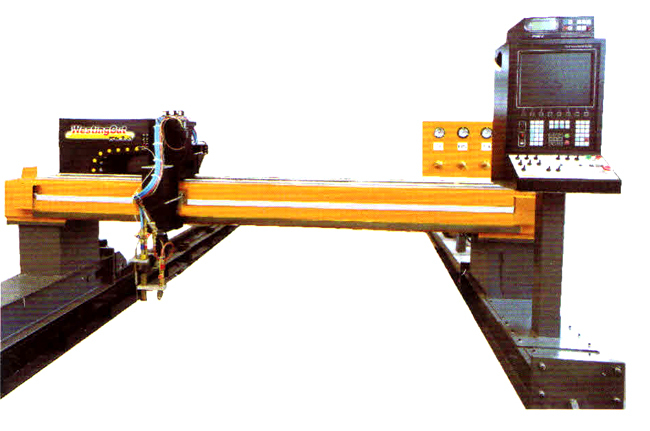 The ArtMax-O1 series CNC gantry cutting machine is designed for flame cutting applications required to cut thicker steel plates up to 300mm in thickness. 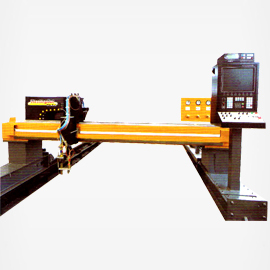 The machine is I eat-treated and stress relieved to provide good rigidity and high strength with no deformation. Heavy duty rail is machinec and surface treated for long life and smooth motion. Each oxy-fuel torch is mounted to a robust motorized lifter, using a balls crew mechanism and linear guides to insure the up/down movem ?nt is accurate and true. Automatic flame ignition and auto natic capacitive torch height control systems are included as star dard equipment, to fully automate the cutting process and insure the cut quality is consistently high. By using our nesting software to prepare cutting programs the user can optimize plate utiliza ion and increase overall productivity and efficiency. © Copyright 2013 SAI WLD INDIA . All Rights Reserved.